Eventide is a non-profit senior living community located in Denison, Iowa. Serving Crawford County Area for over 50 years as a faith-based non-profit organization, we strive to provide resident-centered, cost-effective health care programs and services to each resident in our community. Eventide is recognized as the regional resource for comprehensive aging services. All faiths are welcome to work and live on the Eventide Campus. We are a Continuum Care Community that is able to promote independence while providing peace of mind. This will ensure that as the needs of our residents change, we will be able to accommodate those changes and help seniors get the most out of life wherever they live. Independent Living is designed to enhance individuals’ well-being and ensure a rich life experience by promoting a personalized lifestyle and social interaction with other seniors. It offers comfortable living with the companionship of friends and the freedom to spend your time doing the things that you enjoy most. Independent Living is apartment style living where individuals can live without health care providers on staff. 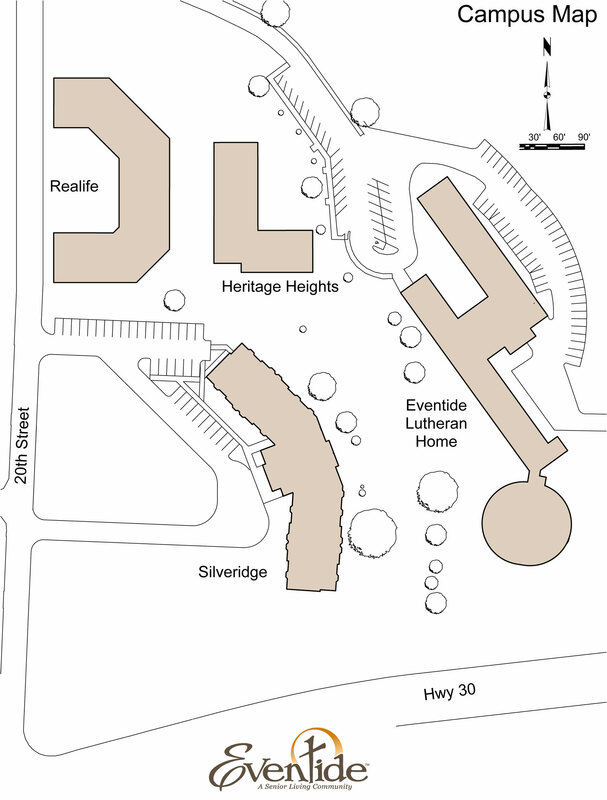 In addition, the Eventide campus offers lower-income independent living. Assisted Living is a great choice for a person who needs some assistance but not constant nursing care. It is designed to accommodate the needs of those who wish to maintain an independent lifestyle but may require assistance with daily activities such as bathing, dressing, shopping, housekeeping, laundry, and medication reminders. It promotes an active lifestyle while ensuring safety, as well as provides personal care assistance based on an individualized service plan.